So you want to create your own campaign for your players? You want to craft adventures with thrilling action, compelling characters, and rich plot hooks? With cliffhangers and twists, treachery and redemption, complexity and surprises around every corner? A living, breathing world to explore with your friends? We want to help you do just that. Here’s how this relates to homebrewing worlds. I don’t think it’s uncommon for us to sit down at a table and expect linear worlds. The world came into being, stuff evolves or is placed there, the species we’d say are on our level come around, and sometime after that we’re off to the races. But what if your world suffered a cataclysmic event, and segments of history are lost? The history skips, leaving silent blips or conflicting evidence behind, like half erased hard drives or the testimony of unreliable narrators. Like the movie Memento, if your world is fragmented, out of order, full of unreliable narrators, it’s still possible to tell a complete story. You just have to violate your internalized rules for what a story (or a world) looks like. This becomes more complex if something like time travel is available in your world, particularly if you use a branching model of time and decisions, instead of a closed loop. In real life, we typically approach history as a linear narrative, changing our opinions and theories about history as new or additional compelling evidence about events and eras surface—mainly through archaeology and the discovery of new writing or images in archives, private collections, or in the case of the Cairo Genizah, in a place where texts are stored before their burial. The discovery of a massive number of graves (insofar as 1855-1935 is recent) during UMMC construction in Mississippi is sourced to the asylum that was once on the site. This sort of event can fit well into a linear narrative (past and present with the past only being interacted with in a passive way) as well as a nonlinear narrative (if player characters discover a mass grave unconnected to known events, their interaction with it becomes fraught and steeped with tension as they try to determine the when, why, and how these bodies came to be, potentially rewriting the history of their world as a new data point surfaces like a beacon in history otherwise branded as lost). For nonlinear narratives, Scapple or Scrivener can be useful to create trees of information for your reference. If you can’t resist old school, ridiculous, but still fun methodology, I frequently use cork boards, 3×5s, and string. If you want to get granular, you can use different colors of string to code known, unknown, and false information as those points of data branch off of given events in your world histories. Games like Microscope and Timeline can also get your creative thoughts flowing as you consider how we order historical narratives. 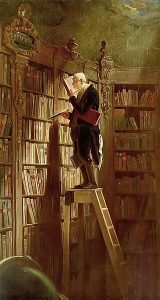 If the draw of linear and nonlinear/unreliable world building is hard to choose between, the genre of your world may help make those decisions easier for you (dystopias, and their prerequisite control of information are tailor made for layers of nonlinear and unreliable information when contrasted with the history they’ve erased). Movies where narrative isn’t a perfect punch of start → middle → end, like The Usual Suspects, Run Lola Run, the aforementioned Memento, and Suicide Kings, are all places to identify what (if any) elements of other narrative structuring you like and how you might apply that to a “bigger” story (like your world). It’s not a coincidence that crime and mystery are part of those examples. In a mystery, there’s frequently competition between narratives and invested parties, in a way we don’t get in a dystopia. (In a mystery, we frequently see a tightly focused, small story at the heart: a single crime that births others, a single antagonist being picked away at.) Because of the extreme nature of control and repression in dystopia, most of our dystopias are incarnated as science fiction. If you want to run a homebrew world that’s basically East Germany on a space station in 2070, you can dig into real life history to learn about the claustrophobic omnipresence of that time period. But if you’re leaning more Soylent Green with your dystopic world, you may instead pursue what that world looks like, what it feels like. By aesthetic decisions, you describe or otherwise convey to players, you put into place what this world feels like to inhabit. (The power of fashion history to help aid you in your world building decisions cannot be understated, picking a single film whose fashion feels how you want this world to feel gives you a costume designer to follow the work of, unlocking increasing levels of complexity in the form of visual statements given in costuming, which can be applied to your world). Our narrative choices are not only about order of events but about the sound and sights and strictures of our world. Those things combined tell us what our world looks like as a Wonderland story, a surveillance state, or a slow-burn noir where nothing is as it seems. Now that we’ve expanded on our storytelling technique, next time, we’ll look at homebrew soundtracks. 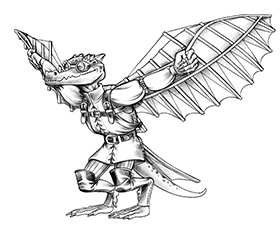 For even more insights on on how to run your game, check out the many wonderful voices in Kobold Guide to Gamemastering.